Brand awareness can be a key element of marketing campaigns but it's not everything. Here's why. Brand awareness is what dreams are made of for small companies. All their marketing efforts seem to be focused on this one area and it's easy to see why. It's hard for customers to become loyal or advocate a brand they've never heard of and near-impossible to build a trusting relationship. The rise of social media has allowed brands to connect more authentically with consumers, and use the platform to set themselves aside from their nearest competitors in one way or another. Although this is unquestionably helping companies of all sizes, brand awareness isn't everything. Marketing brand awareness is effective if you're communicating the right message to your consumers and understand your audience. However, if you don't have both of these factors on your side, it's unlikely your efforts will have the impact you want. Whether your message is one that just doesn't represent your brand accurately or is actually negative, it can have dire consequences for your reputation. This potential stumbling block should be enough to encourage brands to invest sufficient time and money into market research. Anything you can do to gather more insight about the consumers that are buying your product or service will make your marketing more accurate. Problems with brand awareness often come when companies assume they know what their audience wants instead of looking at data. By looking at customer insights, you can gain reliable knowledge about how consumers react and what persuades them to - or not to - convert. Another area where marketers fall short is planning an entire campaign around awareness but having no idea how they're going to measure success. If you're not able to prove your efforts have been effective at achieving your objective, you may struggle to get investment going forward or understand how to improve on your results. Awareness can't be an objective itself but awareness of a certain message, ethic, or product/service is. This is what companies mean when they think of brand awareness but unless they are focused on what they want consumers to be aware of, they are destined to fail. This is why it's crucial that brand awareness is broken down into achievable KPIs and these are implemented as part of a wider marketing strategy. Doing so will allow you to see how brand awareness fits into your customer journey and business objectives. Making customers aware of your brand will only go so far if you're not communicating something meaningful and authentic. People are now more skeptical than ever about businesses, so ensuring your marketing is being used to convey a genuine message, and any values you have as a company, is crucial for long-term success. Whether this is championing and valuing your employees or caring about social issues relevant to your brand, communicating your ethical stance to your target audience can create loyalty and advocacy among customers. 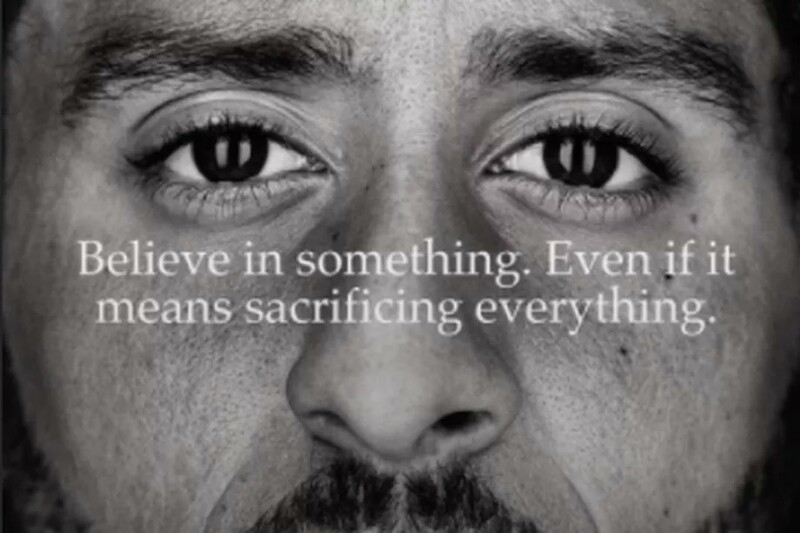 Nike's high-profile Colin Kaepernick campaign saw them position themselves firmly on a side in the controversial 'take a knee' initiative. Though the deal was criticized by some - who disagreed with the sport brand's stance or tactics - it hasn't harmed Nike's profits, generating an estimated $6 billion for the brand. Even if a brand isn't the size of Nike, it can still make the most of its ethics to engage consumers and conduct a successful campaign. Research suggests that this moral compass is worth more to people than value for money. Brand awareness is undeniably an important aspect of marketing, but it needs to be one element of a comprehensive strategy. Authenticity and understanding your target audience ensure that, while brand awareness helps generate interest, you are able to develop long-term, genuine relationships with consumers. Having metrics and KPIs in place to measure success will make your campaign an evolving process, where you build on both your failures and achievements. Combining all of these elements with a solid brand awareness strategy is the best way to make sure you stand out from your competitors and are able to engage with your target audience.